Fractured Quilts and Whirlpools with Eda Lee. Feb 1st and Feb 8th. Sign up now. Twist and Turn Bargello by Eda Lee. 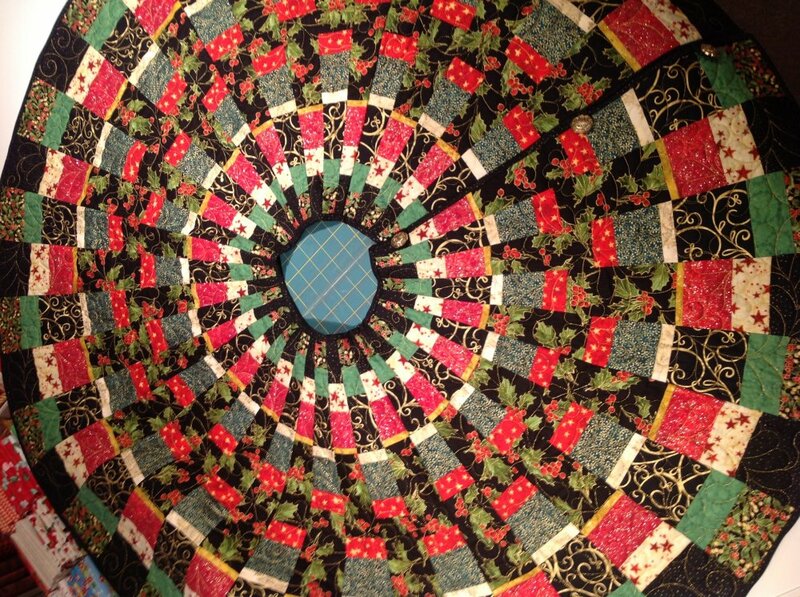 Whirlpool Quilt Shown here, Feb 1st, 2014 with Eda. 10:30 - pm, 3 $40 plus fabric. Fractured, Bargellos, Convergence, Disappearing Nine Patch, Whirlpools, X Blocks, Every Which Way, You Name it, she can figure it out. Accurate cutting and pressing flat as a pancake. 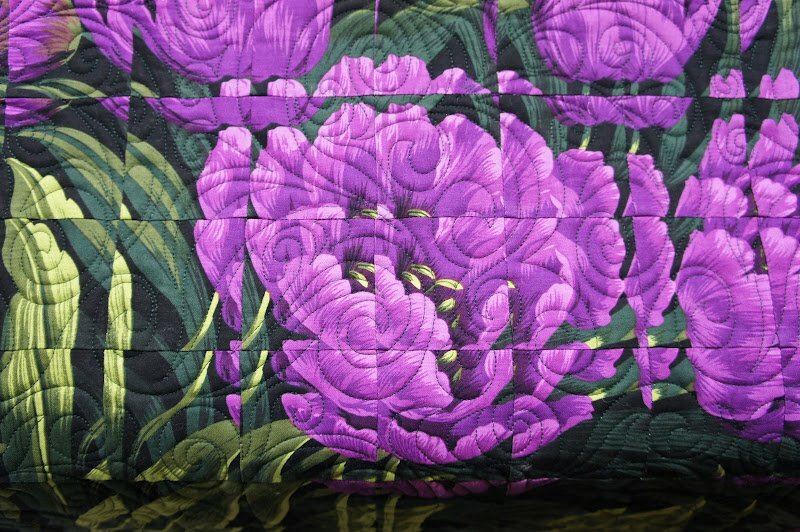 These quilts are spectacular. See them in the shop. These classes are great ones for small groups of 4. 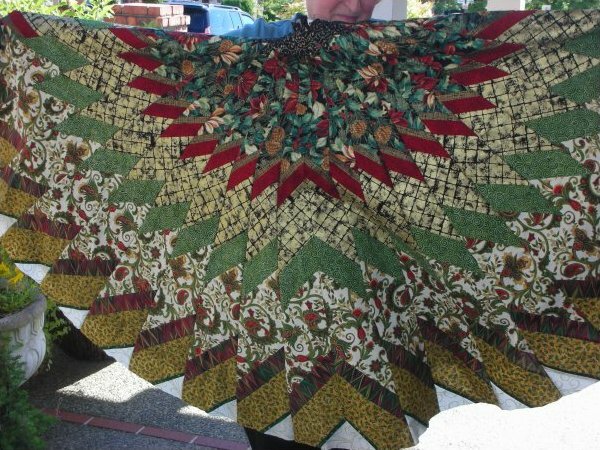 Fractured Quilt, $40 plus four - 24 inch repeats of a large scale floral fabric with lots of good color and contrast. Click here to inquire or sign up. Thank you. Susan Please request a class. 2 Saturdays, Feb 2 & 9, 2013, 10:30 - 3:30 at the shop. $50 plus rulers and fabric based on size. These quilted rounds are spectacular. Make one or two now. These quilted skirts are fabulous for a tree or table cloth. Make one this year with Eda.